How to have a lazy river in your swimming pool isn’t something the Tipton Pools swimming pool contractors in Knoxville, TN get asked all the time, but there are some pool owners who have the yard space to make that pool construction project a reality. If you and your children love lazy river rides at the water park, and if you have the yard space, why not talk with us about it! A lazy river design is an unusual feature, but it can add a lot of excitement, intrigue, aesthetic beauty and just plain fun to your backyard swimming experience. What is a lazy river feature? It’s a long, languorous feature that lets friends and family float on rafts or inner tubes in and around the backyard through either open or closed tubes into the pool. When you add a lazy river to your pool it creates a unique experience rivaled only by a trip to a lazy river and white water rafting trip or a visit to a crowded (and expensive!) water park. Talk with us if you think you have the yard space, and the budget, to add a lazy river to your swimming pool. The land. You will have to have more than a half acre of land to pull this design off with any success. An additional 5,000 square feet allows you to accommodate a lazy river feature. The length. To reap the most fun from the lazy river experience, you want it to be at least 100 feet long; this gives you the change to have it be twisty, turny rather than a straight shot from the top into the water. You will want it to be at least six feet wide to comfortably accommodate a raft or inner tube. The installation. Work with a swimming pool contractor who has done this type of construction in the past. It is not for the inexperienced to construct. If you’re going with a lazy river, and you have the space, why not incoporate an island feature that the lazy river can wrap around. Add enhancements like waterfalls or spray features to your lazy river. Consider, too adding a bucket dump under an area of the lazy river area. 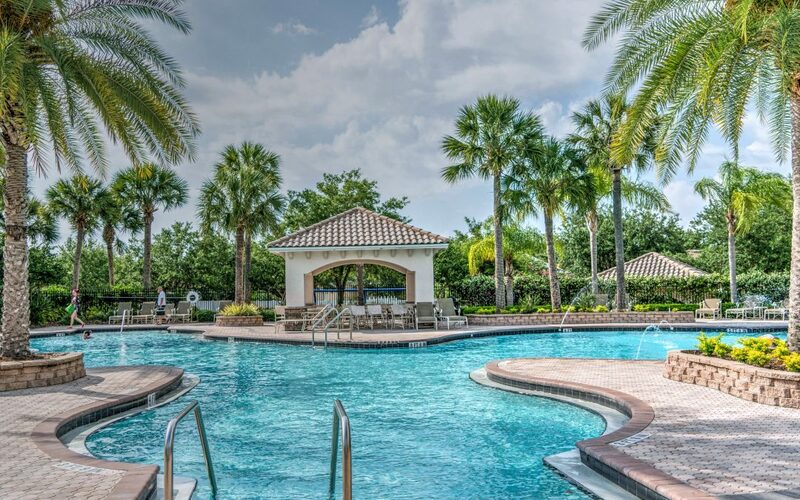 The lazy river should be at least three and a half feet deep and you want to have the structure sloped so the water flows at around one to two miles per hour. Talk with us and let’s discuss budget and whether you have enough yard to host a lazy river feature in your pool!